Below you fill find all funeral homes and cemeteries in or near Northwood. 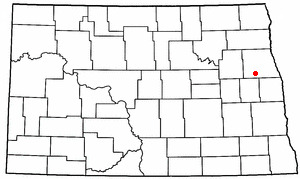 Northwood is also known as: Grand Forks County / Northwood city. Zip codes in the city: 58267. Grand Forks County funeral flowers can be purchased from one of the local funeral shops we partner with. Some of the notable people born here have been: (enoch thorsgard), and (patrick hatlestad). Northwood is a city in Grand Forks County, North Dakota, United States. It is part of the "Grand Forks, ND-MN Metropolitan Statistical Area" or "Greater Grand Forks". The population was 945 at the 2010 census. Northwood was founded in 1884.A tornado, rated EF4 on the Enhanced Fujita Scale, struck Northwood on the evening of August 26, 2007 causing destruction to the entire town and killing one person. Later on some of the buildings were burned, collapsed, or torn down because of severe damage to the buildings from the tornado. It was revealed on December 30th, 2016 that Daryl Duane Tysdal died in Saskatchewan, Canada. Tysdal was 81 years old and was born in Northwood, ND. Send flowers to express your sympathy and honor Daryl Duane's life. It was disclosed by Orange County Register on October 10th, 2015 that Patricia Ann Well (Huso) died in California. Ms. Well was 80 years old and was born in Northwood, ND. Send flowers to share your condolences and honor Patricia Ann's life. It was disclosed by The Leader-News on July 23rd, 2015 that Russel James Emineth passed on in Northwood, North Dakota. Emineth was 40 years old. Send flowers to share your condolences and honor Russel James's life. It was written by Grand Forks Herald on June 21st, 2015 that Shirley Ann Sanderson passed away in Northwood, North Dakota. Sanderson was 94 years old. Send flowers to express your sorrow and honor Shirley Ann's life. It was reported on June 20th, 2015 that Betty Halvorson (Buri) died in Tucson, Arizona. Ms. Halvorson was 80 years old and was born in Northwood, ND. Send flowers to share your condolences and honor Betty's life. It was noted by Grand Forks Herald on May 27th, 2015 that Gordon Strand perished in Northwood, North Dakota. Strand was 89 years old. Send flowers to express your sorrow and honor Gordon's life. It was reported by Grand Forks Herald on May 27th, 2015 that Donald Wasylow perished in Northwood, North Dakota. Wasylow was 91 years old. Send flowers to express your sorrow and honor Donald's life. It was noted by San Diego Union-Tribune on May 10th, 2015 that Duane Rudolph Helgesen perished in Oceanside, California. Helgesen was 68 years old and was born in Northwood, ND. Send flowers to share your condolences and honor Duane Rudolph's life. It was written by The News Tribune on May 10th, 2015 that Gerald Leslie Holter passed away in Tacoma, Washington. Holter was 75 years old and was born in Northwood, ND. Send flowers to share your condolences and honor Gerald Leslie's life. It was disclosed by The Forum on February 22nd, 2015 that Geraldine L "Gerry" Evans perished in Northwood, North Dakota. Evans was 89 years old. Send flowers to express your sorrow and honor Geraldine L "Gerry"'s life. Northwood was founded in 1884. 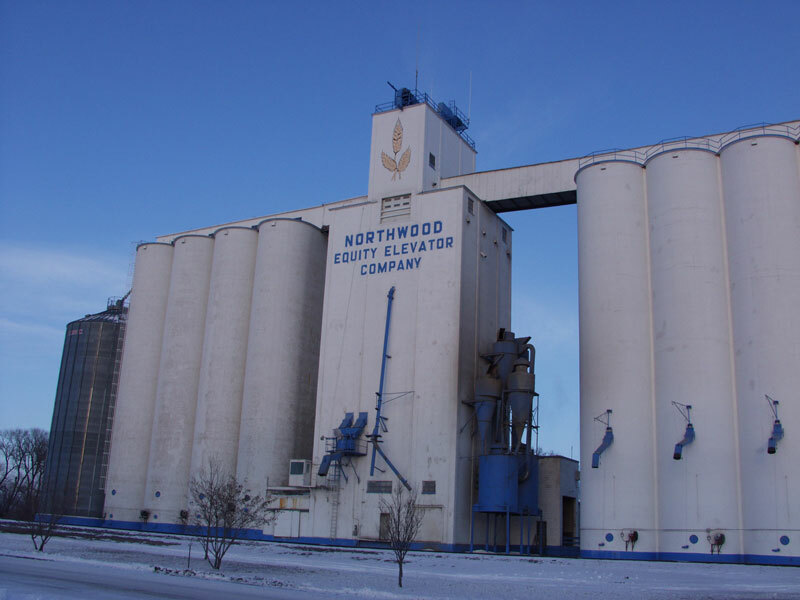 Northwood is a city in Grand Forks County, North Dakota Forks County, North Dakota in the United States. The population was 959 at the 2000 United States Census census. It is part of the "Grand Forks, North Dakota Forks, North Dakota Metropolitan Statistical Area" or "Greater Grand Forks". . The official website for the city of Northwood is http://www.discovernorthwood.com/. Virginia Bentley Johnson was born November 24, 1924, in Northwood, North Dakota, to Gilman and Alice (Marstuen ... Arrangements are with the Benson & Langehough Funeral Home of Northfield. Listing all funeral homes in Northwood, North Dakota so you can easily send flowers to any location (same day delivery) or find any funeral service. Northwood Funeral planning made easy! Learn how to pre-plan your funeral in Northwood, North Dakota, including step-by-step directions. 172 companies & businesses in North Dakota. Search or browse our list of companies in ND by category. We work with local florists and flower shops to offer same day delivery. You will find budget sympathy flowers in Northwood here. Our funeral flowers are cheap in price but not in value.